in your iPhone or iPad. 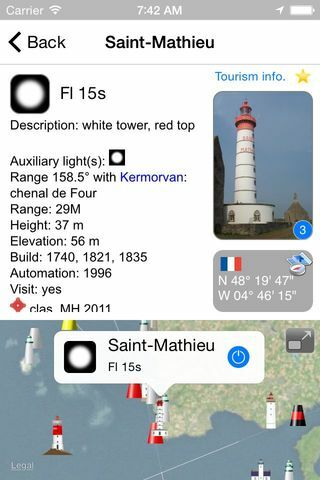 The application "French lights" presents more than 1000 lighthouses and lights from France and its surroundings. 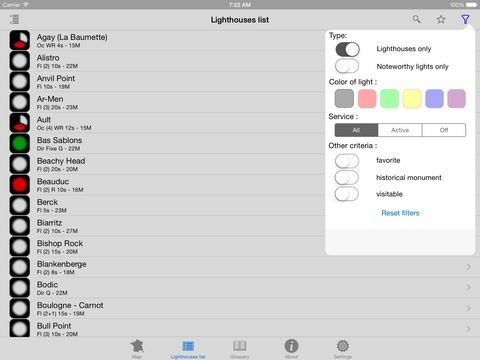 - a characteristics sheet with description, height, elevation of the light, range, photos, visit informations and its location. 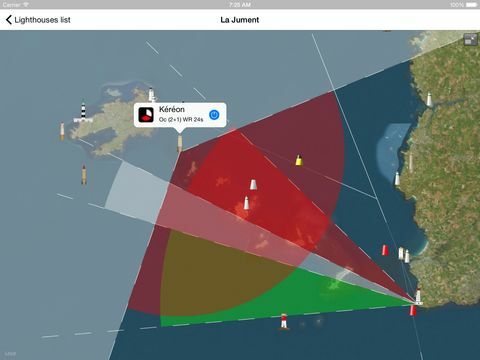 - a detailed map to visualize the range, sectors and colors of each light. - a route calculation to get there. 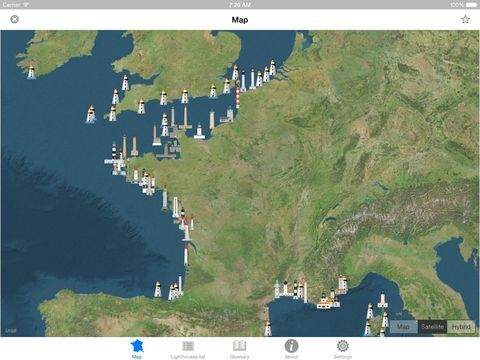 - a "Map" view to locate all the listed lighthouses. All data and pictures can be viewed offline. 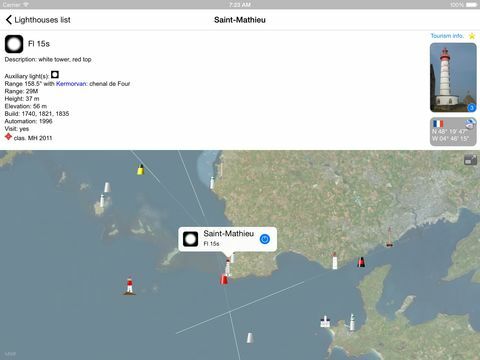 Maps and visit informations need an internet connection. 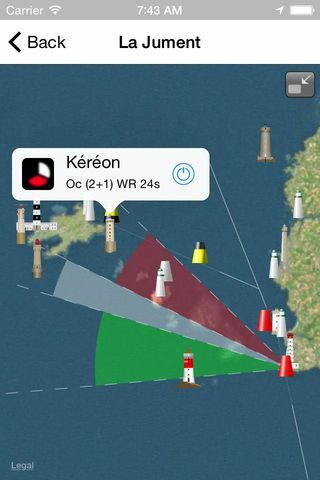 "French lights" is not a navigation aid application. Data of the lights were not checked by SHOM and are for reference only. The author disclaims all liability for misuse of them. 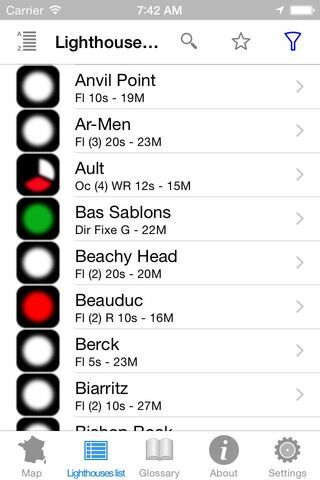 Fog signals described in this application are not necessarily in service. Most of them are, or will soon be stopped. 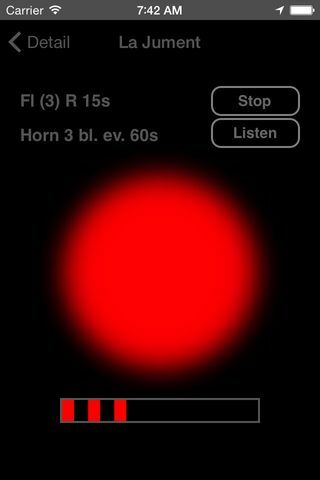 On the other hand, the sound emitted by the application is only a theoretical simulation of the sound aids from actual recordings. - change on photo downloads: special markers are always downloaded, photos are downloaded only if they are updated. 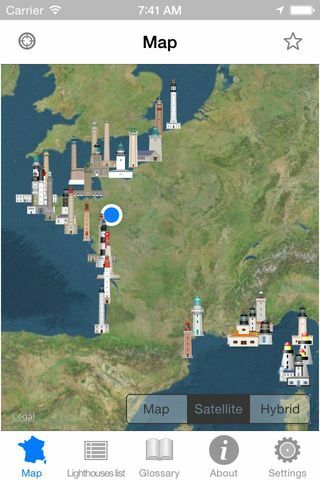 New photos are not saved on mobile to allow more photos by lighthouse. More than 160 lights and also lightships. 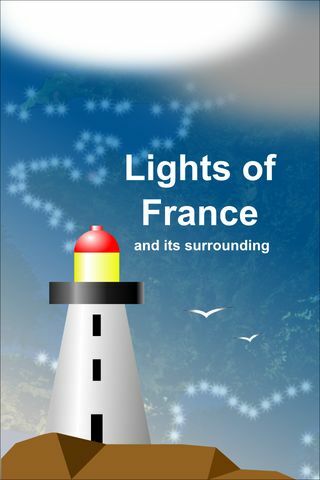 French lights, but also Channel lights from England, Jersey and Guernsey, belgian lights in North sea, spanish lights near France, italians lights near Corsica. - new photo credit management. - new photos: Nantouar, Kerjean, Le Colombier, Kerprigent, Penfret and more.